Project Denneler: My walking billboards. 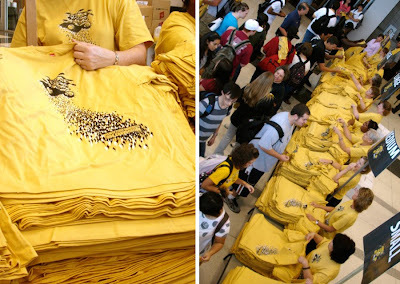 My first project, on my first day at WSU last March, was to design the 2008 Convocation t-shirt. (It's the big, back-to-school party & pep rally they have at Charles Koch Arena.) 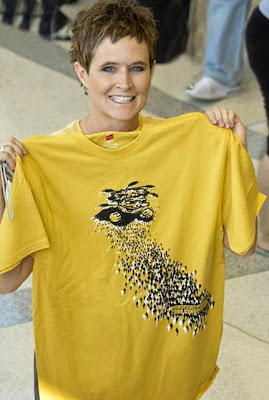 And today, I got to see my design being handed out and worn by 4,000 students. How cool is that? In case you're asking yourself "What the heck is that Sandra? 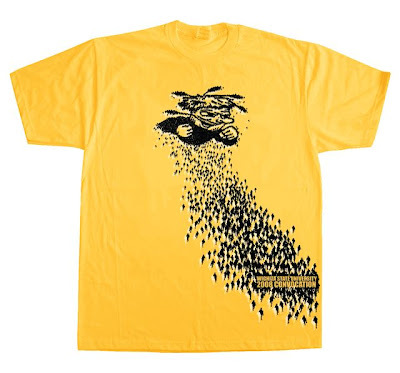 ": The image is a large, overhead group of silhouetted people, coming together to form a WuShock. I also did banners, posters, flyers and ads that went up all over campus.